Japanese could be probably bored with FR Coupe like Nissan Silvia S15, Nissan 350z or maybe Honda S-2000. 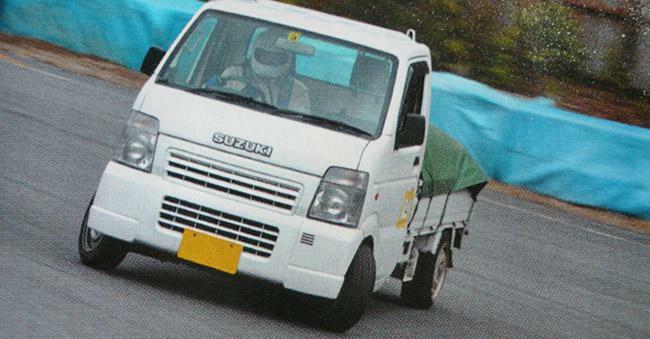 Now, they going drifting with Suzuki or Daihatsu Kei Trucks (Mini Truck). Now, what it appears here is a team of mini trucks sliding around a track in Japan. Yes, is a mini truck that uses as transport by farmers or traders. Enjoy the video of Japanese niche-racing with mini trucks from YouTube.